My first time participating in the traditional October Horror marathon. Horror is not one of my favorite kind of movie genres. So I am not sure how many I will be able to watch. It depends on mood and time. It could very well be, that this will be not a regular thing for me, as I don't want to repeat myself next year (I don't have that many movies which would qualify as horror). I have decided to also try to continue my "Movies from Within My Lifetime" marathon, as I have stopped there at 1994 a while ago. It hadn't even been a year since a plantation owner named Louis had lost his wife in childbirth. Both his wife and the infant died, and now he has lost his will to live. 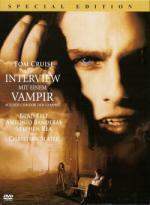 A vampire named Lestat takes a liking to Louis and offers him the chance to become a creature of the night: a vampire. Louis accepts, and Lestat drains Louis' mortal blood and then replaces it with his own, turning Louis into a vampire. Louis must learn from Lestat the ways of the vampire. A good movie. I always enjoyed it. Though it has been ten years since I last watched it. I like the first half much more than the second half. It always looses my interest from the moment they move to Europe and meet Antionio Banderas. A proper sequel to this movie's ending would have been interesting. I was disappointed with this movie when I first watched. That was about ten years ago. I thought it may have been because of wrong expectations. So I thought I'd give it another chance in this marathon. This movie is boring, filled with bland characters. I just read that Eddie Murphy only did this movie to be free of his contract with Paramount. And it feels like it. He is obviously not into this movie. None for me today. We went straight from work to the Oktoberfest this afternoon. I just came back. It is already past midnight here. I had great fun though. From the creators of Pulp Fiction and Desperado comes this wild and wicked action thriller about two brothers on a desperate crime spree! Quentin Tarantino stars as a deranged convict who, along with his brother (George Clooney), kidnaps a preacher and his two kids (including Juliette Lewis - Natural Born Killers) and flees for the safety of a remote nightclub in Mexico. But once they arrive, they discover that the club is anything but a safe haven for criminals. Its bloodthirsty clientele forces the brothers to team up with their hostages in order to escape alive. From the girl who made coffee on the set of Pulp Fiction, comes the ground breaking feature-length documentary about the journey of the film crew making From Dusk Till Dawn. 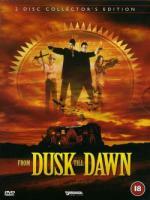 Features the cast and crew of From Dusk Till Dawn. I always enjoyed this movie. But it has been a long while since I last watched. I always preferred the first half of the movie over the second one though. I am not a big fan of the look of the vampires in this movie. Imagine a creature on the verge of creation. 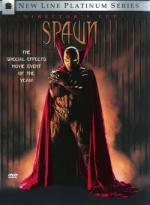 From comic book legend Todd McFarlane comes the live action special-effects movie event of the year—SPAWN. Michael Jai White, John Leguizamo and Martin Sheen star in a battle beyond good, beyond evil and beyond imagination. Waste of time in my opinion. Horrible acting, boring story. The only thing worth mentioning are the special effects. I haven't read the comics the movie is based on, so I cannot draw comparisons. A fun movie, but it has its lengths. It was the first proper Marvel superhero movie and started the trend of superhero movies which still lasts on. The Devil will find work for idle hands to do... But what happens when he chooses the laziest teen slacker in the world to do his dirty work? Anton Tobias (Devon Sawa, WILD AMERICA) is a channel-surfing, junk-food munching, couch potato burn-out who can't control the murderous impulses of his recently possessed hand. With the help of his zombiefied buddies, Mick (Seth Green - AUSTIN POWERS: THE SPY WHO SHAGGED ME) and Pnub (Elden Henson - THE MIGHTY), Anton's got to stop the rampaging devil appendage before it takes total control of his life and ruins any chance he has with class hottie Molly (Jessica Alba - NEVER BEEN KISSED). Vivica A. Fox (INDEPENDENCE DAY) and Jack Noseworthy (THE BRADY BUNCH MOVIE) co-star in this wickedly funny horror comedy. A fun horror comedy. It came to my attention because of Seth Green. Also Jessica Alba has an early role here. That movie was the first time I saw her in anything. 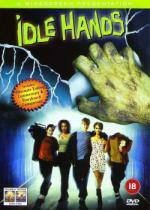 When Dark Angel came out, I associated her still as the hot girl from Idle Hands. A year after disposing the body of a man they accidently killed, a group of dumb teenagers are stalked by a bumbling serial killer. Scary Movie is from a time, when such parody movies weren't overfilling the market. As a matter of fact the success of this movie started it, I think. But unlike the parody movies which were following, Scary Movie was fun. It has some good movie parodies (instead of being filled with unfunny pop culture references) and also good acting. A reporter (Thiessen) investigates a series of murders called the Spring Break Massacre which leads to further mayhem. This movie came out around the same time as Scary Movie. But was less successful. Whereas Scary Movie was funny, this one wasn't. It had some nice ideas, but they weren't executed very well. I originally bought this movie, because it stars Majandra Delfino (Maria from Roswell), Julie Benz (Darla from Buffy) and Danny Strong (Jonathan from Buffy). It's a rainy night on the Welsh moors. 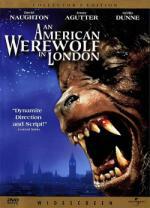 Two American students on a walking tour of Europe trudge on to the next town, when suddenly the air is pierced by an unearthly howl. . . . Three weeks later, one is dead, the other is in the hospital and the nightmare begins for "An American Werewolf In London". David Naughton, Griffin Dunne and Jenny Agutter star in this contemporary story of the macabre which takes you from the Welsh moors to Picadilly Circus, Trafalgar Square and the grounds of Windsor Castle. It is written and directed by John Landis, the man who brought you "National Lampoon's Animal House", "The Blues Brothers", "Trading Places", "Innocent Blood" and "Coming To America". To add to the chill, there is art direction by Academy Award winner Les Dilley of "Star Wars" and "Alien" fame and specal makeup effects by six-time Academy Award winner Rick Baker, whose work includes "Star Wars", "The Nutty Professor", Tim Burton's "Planet Of The Apes", "Dr. Seuss' How The Grinch Stole Christmas" and "Men In Black". I first heard about this movie in sixth grade, when my German teacher was raving about the great transformation scene in that movie, when we were reading a story about a werewolve I think. It peaked my interest to watch this movie, but I was not allowed to by my mother. I was too young for it. A few years later I got the chance to watch it. It is a great movie. And the transformation scene still holds up very well. Better than most CGI holds up a few years later. Timmy Robinson's best friend in the whole wide world is a six-foot tall rotting zombie named Fido. But when Fido eats the next-door neighbor, Mom and Dad hit the roof, and Timmy has to go to the ends of the earth to keep Fido a part of the family. A boy-and-his-dog movie for grown-ups, 'Fido' will rip your heart out. I first saw this movie at the FantasyFilmFest a few years back. The premise is a little like the ending of Shaun of the Dead spun further. What happens after a zombie apocalypse if zombies are domesticated and hold like pets. Nice enough idea, though the movie battles with keeping this premise fun. But I still enjoyed it though. Watched now "Butterfly Effect 3: Revelations". I already reviewed it here. A couple of recently deceased ghosts contract the services of a "bio-exorcist" in order to remove the obnoxious new owners of their house. This movie always entertained me. A lot of the scenes stayed with me since I first saw the movie as a kid. Like the dinner scene. Or the man in the waiting room with the shrunk head. He looks funny, and the idea behind it as a little creepy. 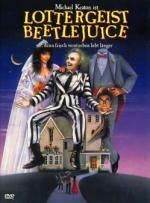 Michael Keaton does a really great job as Beetlejuice. A character vastly different to Batman, who he played a year later. No wonder the studio was really wary about casting him as Batman. After moving to a new town, two brothers are convinced that the area is frequented by vampires. Even though it has a very 80s feel to it, it otherwise has aged very well. Especially the effects and vampire makeup). It is a very good vampire movie. 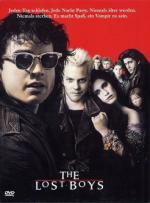 I was surprised to see Bill from Bill & Ted as a vampire here.